security | Where is @rusnivek? Afternoon meetings with the Communications team with the Red Cross of Chicago! Case studies? Social media? Response training? Media training? Yeppers, all of that stuff for for the L-team to boots-on-the-ground staff. Looking forward to some upcoming Crisis Comms training with all their staff. What a morning as we kick off the FEMA ICS-402: ICS for Executives/Senior Officials! Even got a rare class visit from Director Snow on the start today. 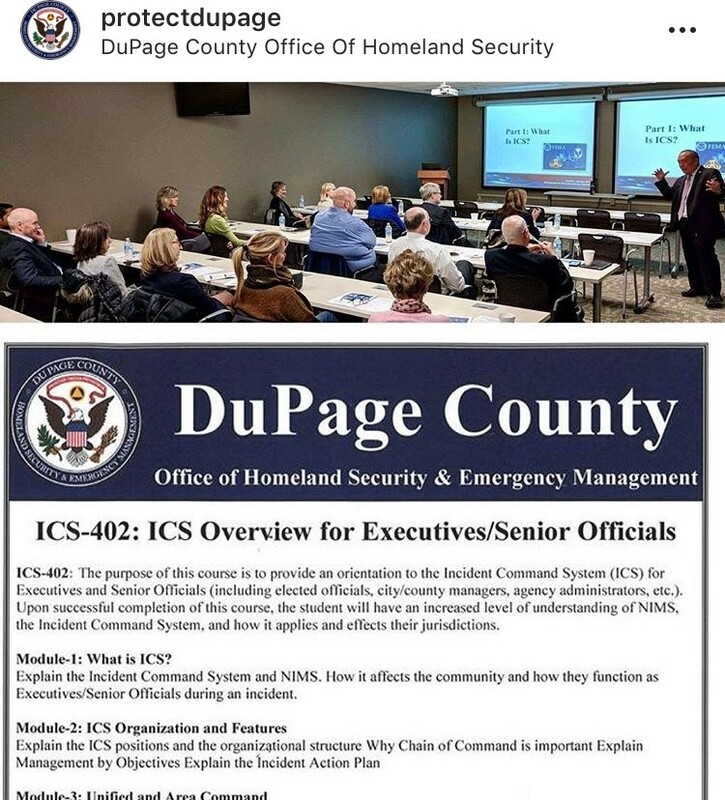 Proud to have leadership from various organizations including our own DuPage County Board Members Dawn DeSart and Sheila Rutledge. Great class and looking forward to more with our partners.